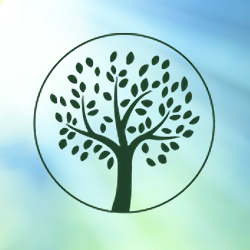 We are compassionate, collaborative therapists with over 40 years of combined experience and training. Our therapists provide a supportive and creative space to explore the work of psychotherapy. With reverence and deep respect for each of your stories, we will join you where you are on the journey. Utilizing a variety of therapeutic modalities, we work with individuals, couples, families, and adolescents. The Grove Counseling and Wellness Center specializes in the evaluation, prevention, diagnosis, and treatment of mental, emotional and behavioral health issues. At some point, every one of us is faced with a situation that overwhelms our ability to cope. Whether it is fear that there is something wrong with your child or family member, an unexpected death or job loss, a struggling relationship, or dealing with an issue such as a chronic illness. The Grove Counseling and Wellness Center can help you find the answers you need and the strength to turn those answers into a great life. In working collaboratively with clients, we offer a unique mix of psychodynamic, existential, cognitive-behavioral and creative action-oriented based approaches with mind-body integration practices. Please call for a free consultation to discuss your concerns and if we do not have the expertise for your situation, we will be happy to assist you in locating another caring therapist who can help. Prices vary depending on the therapist and the types of services provided. Please call for more information. We accept cash, check, HSA (health savings account), major credit cards, and PayPal. The Grove Counseling and Wellness Center is an out of network provider.